At PTRC Inc., we are specialists in watch repair. Whether you own a modern or vintage quartz or mechanical watch, a pocket watch, a chronograph, a self-wind or automatic watch or a solar powered watch we have the experience and expertise to properly repair, service, and restore your watch. All of our watch repair services are performed in our Toledo Shop by watch repair experts. Our state-of-the-art facility meets current Swiss watch repair industry standards. 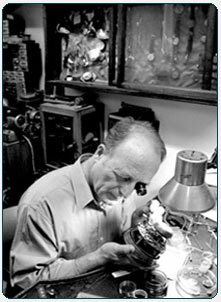 Our watchmakers are backed by watch repair technicians and an in-house parts department. To find out what other watch repair services we can assist you with, or if you have any questions, contact us today. Our watchmakers regularly attend watch repair classes to keep their skills sharp, to learn about the newest mechanical and quartz watch movements and about the tools and repair techniques needed to maintain them. At PTRC Inc., we are specialists in watch repair. Whether you own a modern or vintage quartz or mechanical watch, a pocket watch, a chronograph, a self-wind or automatic watch or a solar powered watch we have the experience and expertise to properly repair, service, and restore your watch. 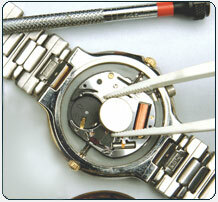 All of our watch repair services are performed in our Toledo Shop by watch repair experts. Our state-of-the-art facility meets current Swiss watch repair industry standards. Our watchmakers are backed by watch repair technicians and an in-house parts department.